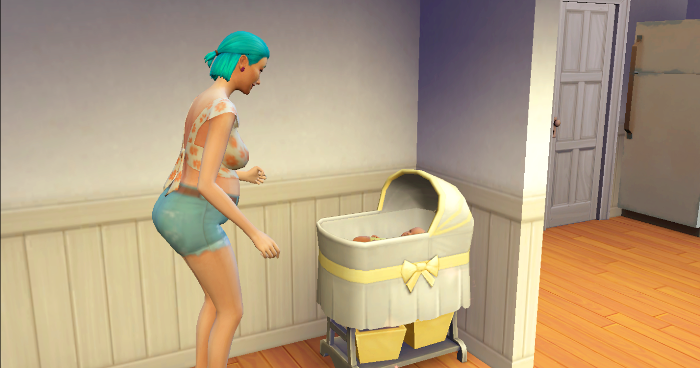 I reinstalled The Sims 4 and instantly started playing a 100 baby challenge. 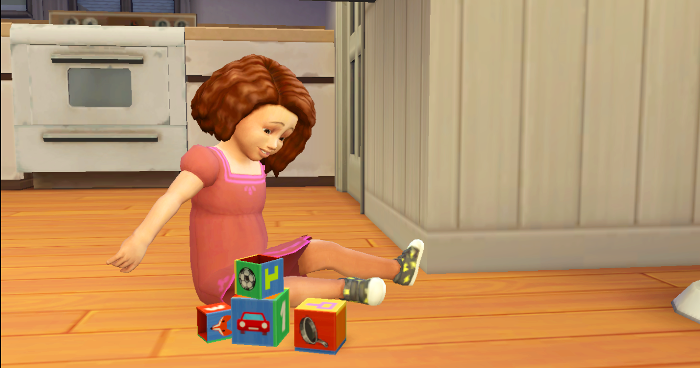 This is my 100 baby founder, Maggie Hansen. 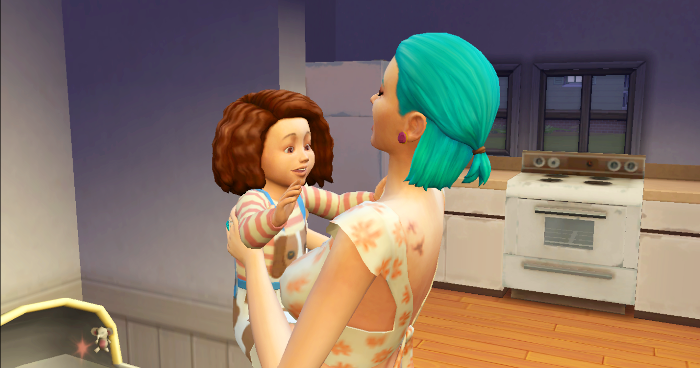 I'm also thinking about making this a perfect genetics challenge, so the next one to try and help towards the 100 babies needs to have teal hair and purple eyes. 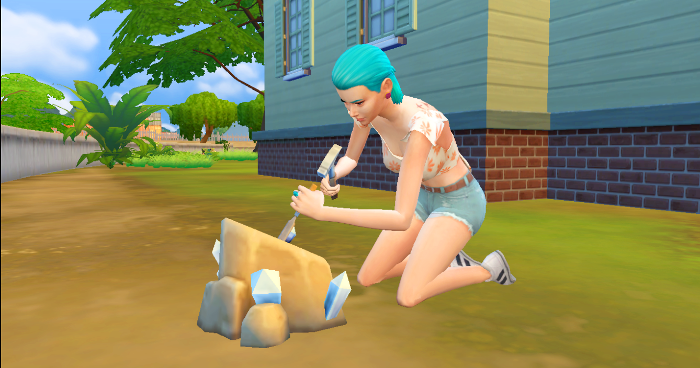 Maggie leaves her house right away to fish and break some rocks. 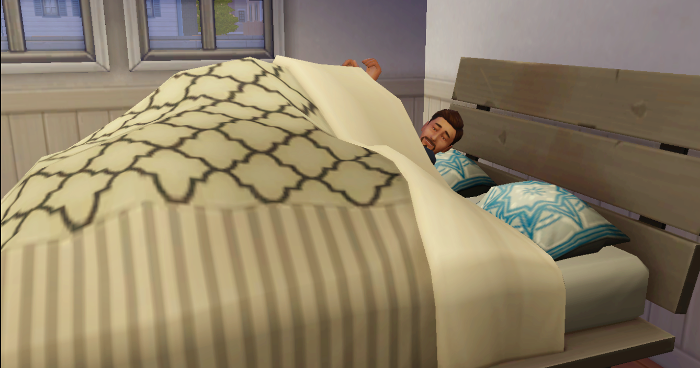 Ooooh, two guys already! 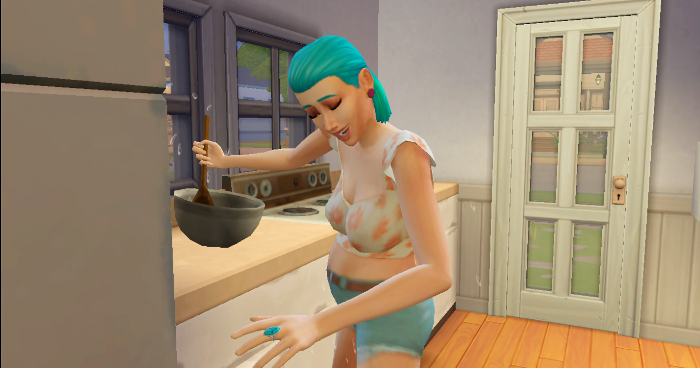 They're both married, but Maggie just needs to have their babies, so that's okay. It doesn't take Maggie long to invite Dominic over. 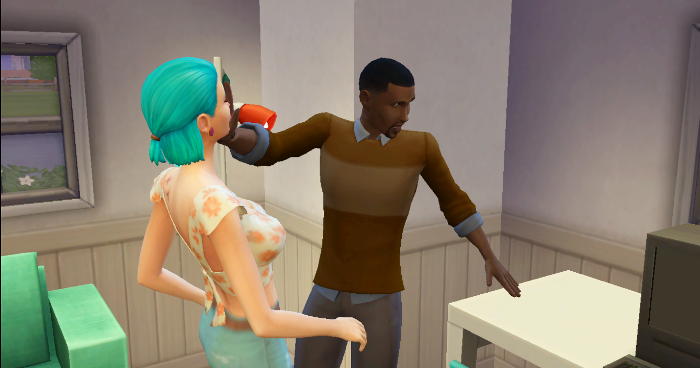 The next morning, Maggie has some pancakes and then meets Dominic at a bar. 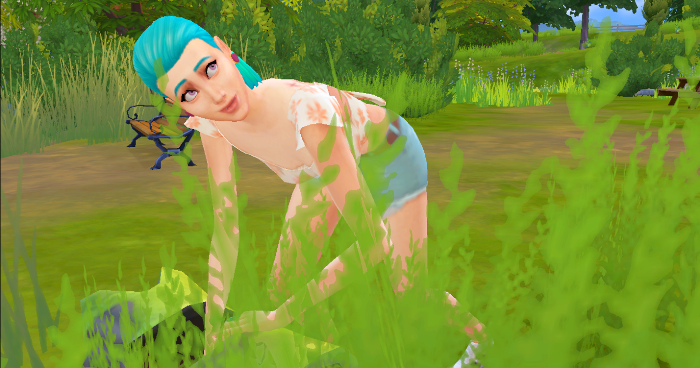 I love the frog-hunting faces! Back at home, Maggie invites Dominic over for a date and things progress quickly. 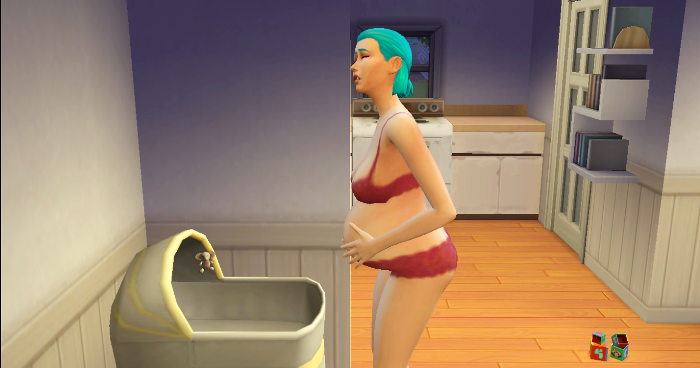 It's only the second day and a baby is already on the way! 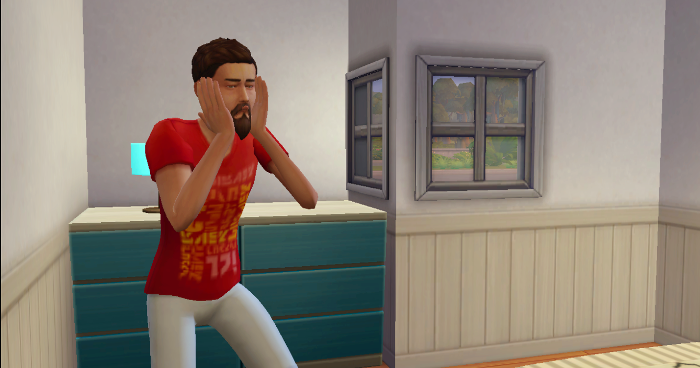 Maggie tells Dominic that she's pregnant and he takes it really well. 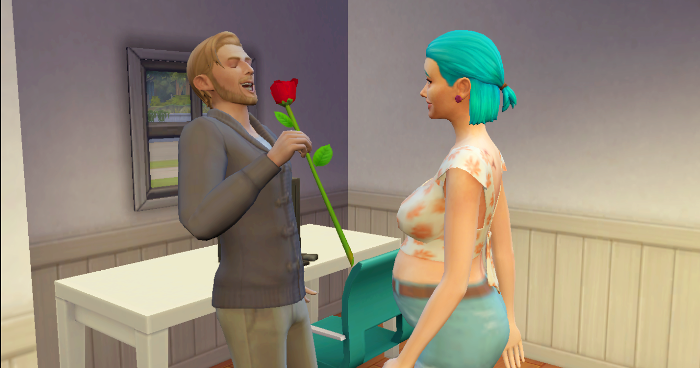 Also, he's her boyfriend now since she needs a boyfriend for her Serial Romantic aspiration. I didn't realize that someone who is married could also be dating someone else, so that's cool. 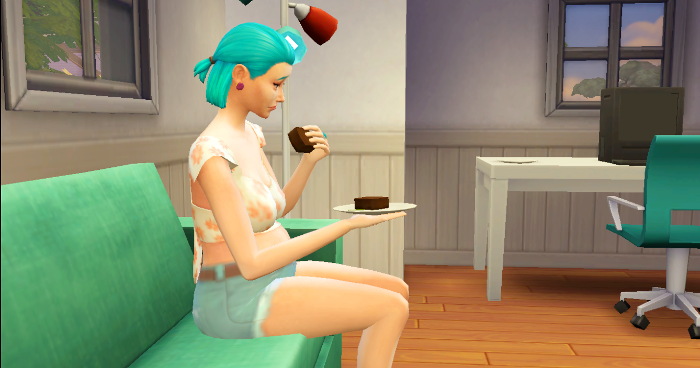 Maggie works on her charisma skill and then decides she wants some brownies. I wish I had brownies! 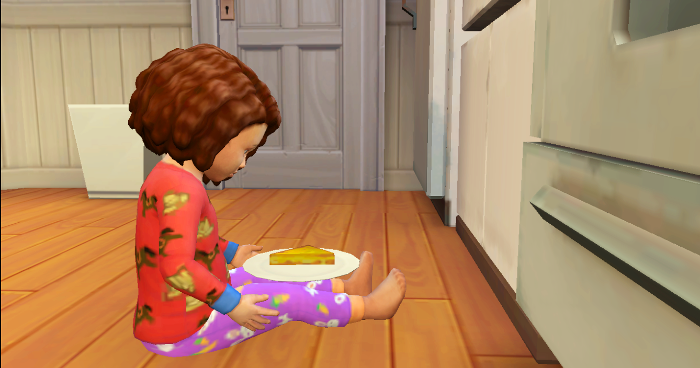 Poor Maggie woke up at 3 to go pee, realized she was hungry, and had some brownies. 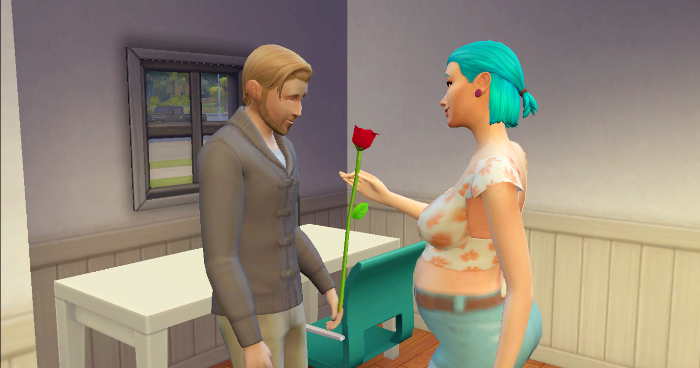 Time to get started on wooing the next baby daddy! 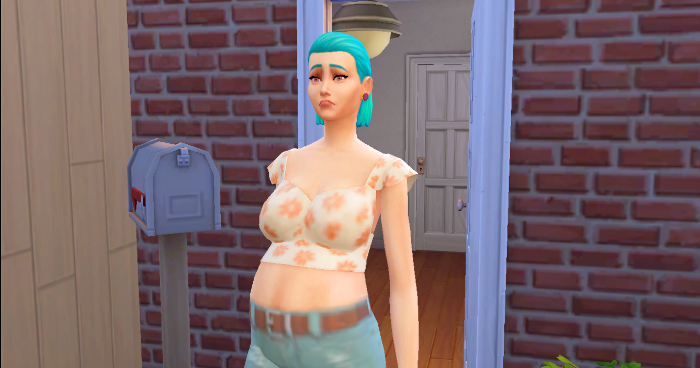 Maggie goes into labor in the middle of her date with Carson, so she heads to the hospital. 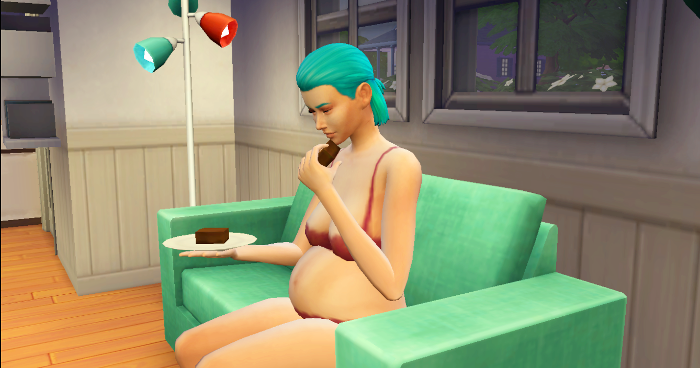 She leaves Carson home alone, freaking out over the fact that his date went into labor. Maggie comes home with with baby girl Sophie. Then she jumps into bed with Carson again. 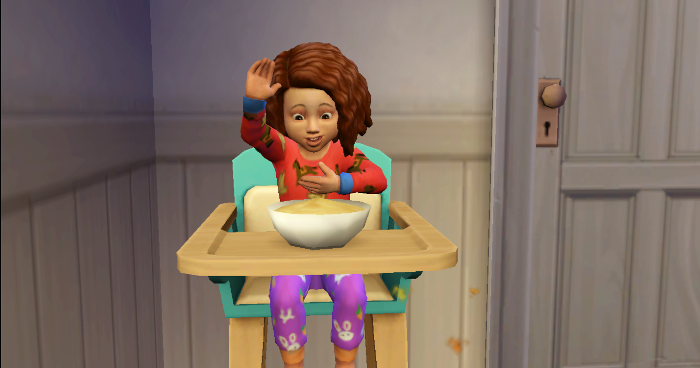 Second baby is on the way! Carson heads home soon after being told that Maggie is pregnant with his kid. 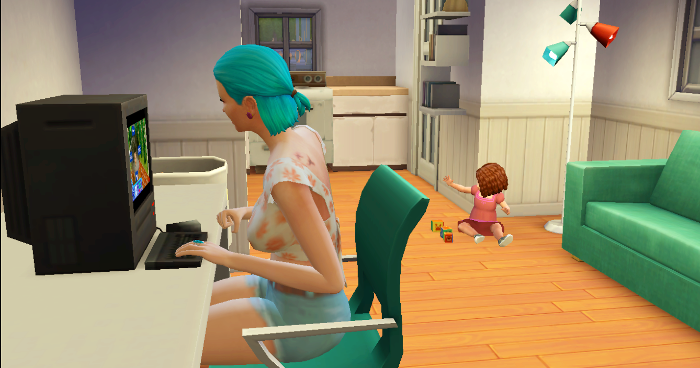 Sophie is such a fussy baby, oh my GOD. I'm hoping that Bjorn will be a baby daddy too. Time for Sophie to age up! She gets the Angelic trait. 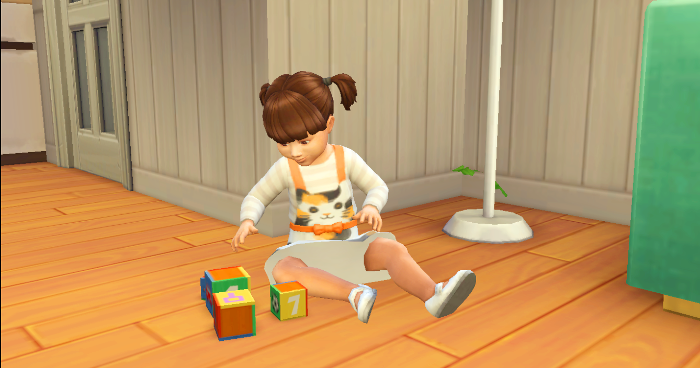 Sophie starts playing with the blocks while Maggie goes back to bed. 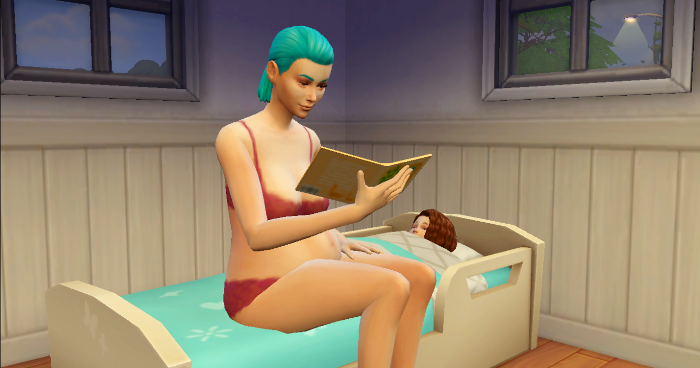 Maggie attempts to read Sophie to bed, but Sophie doesn't want it. 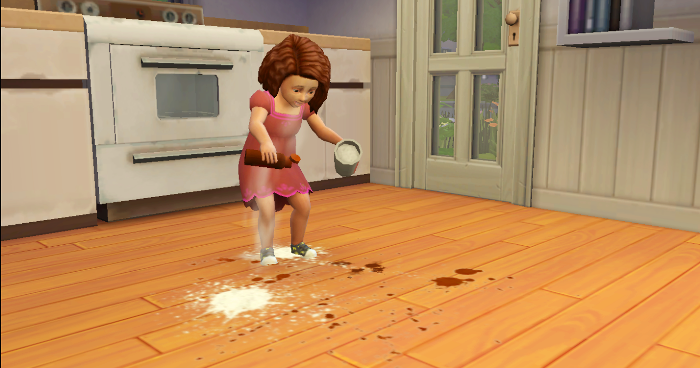 I swear, more applesauce made it on the floor than into Sophie. Maggie gives birth to another girl. Her name is Kailani. And then Maggie passed out because she's exhausted. 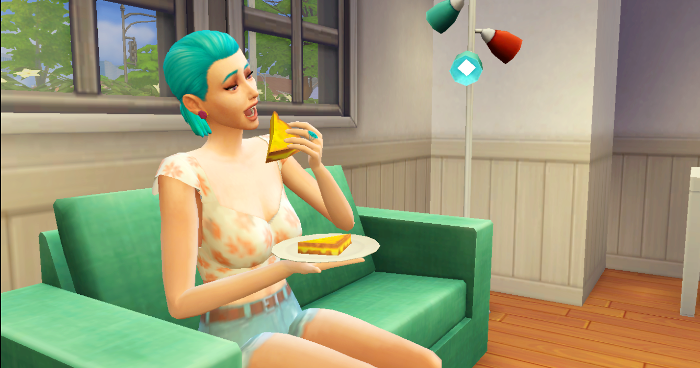 Sophie isn't happy to have a new sibling, but grilled cheese makes it better. 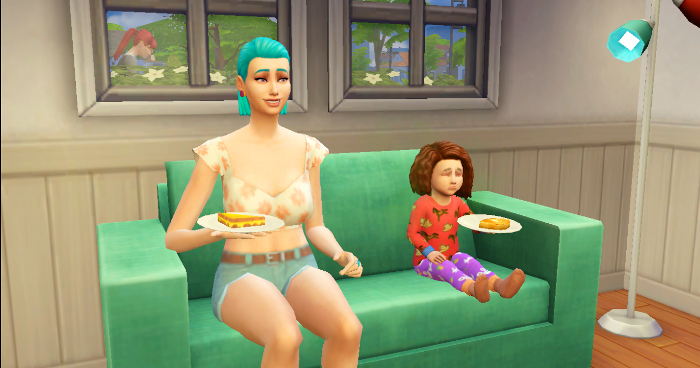 Sophie had a nightmare and didn't want to sleep in her bed, so she curled up on the couch. In the morning, Sophie eats breakfast with Maggie and then gets a bath. 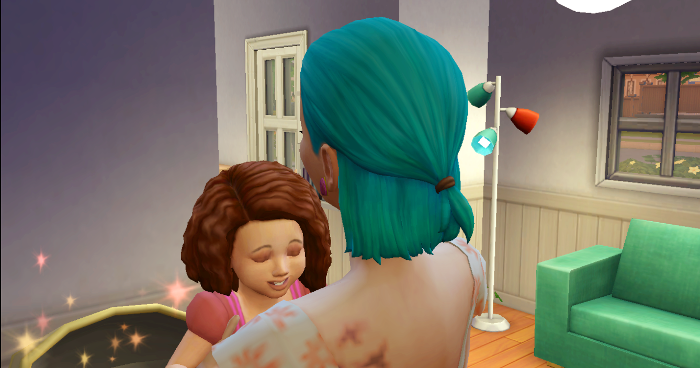 Kailani aged up too! 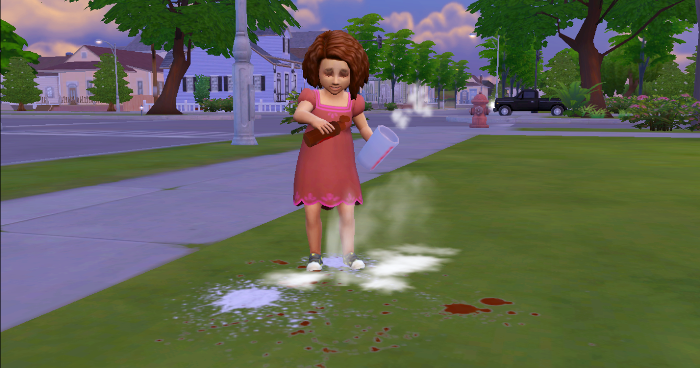 She got the Fussy trait. 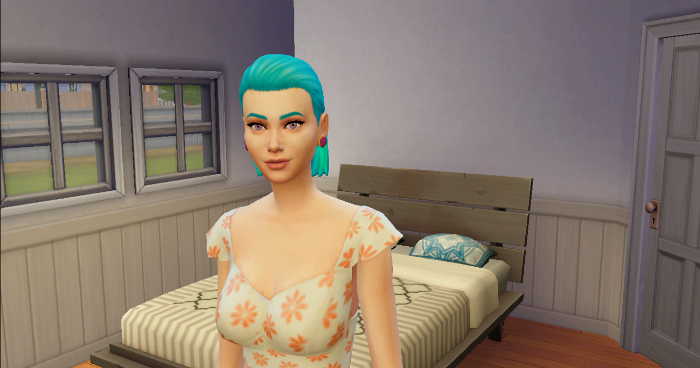 She gets a different hairstyle so I can tell the difference between her and Sophie. Hopefully next time Maggie will be able to woo another guy. She has a few that she's working on, but they keep freaking out and denying her advances. Also, if you want to make me a baby daddy and send him (or her) to me, feel free! 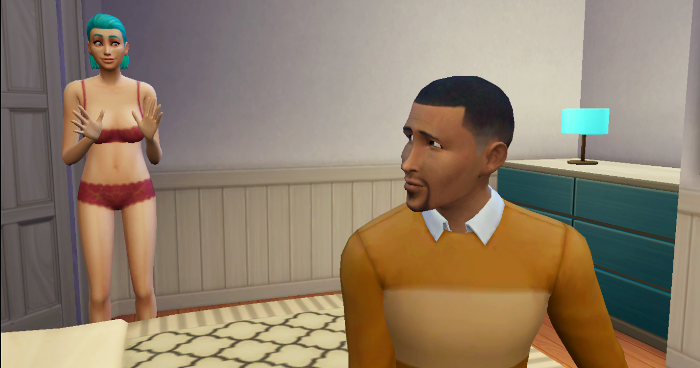 Oh wow I didn't know you could have someone officially date a married sim in the Sims 4 either! Good luck with your challenge, I'm excited to see where this goes! 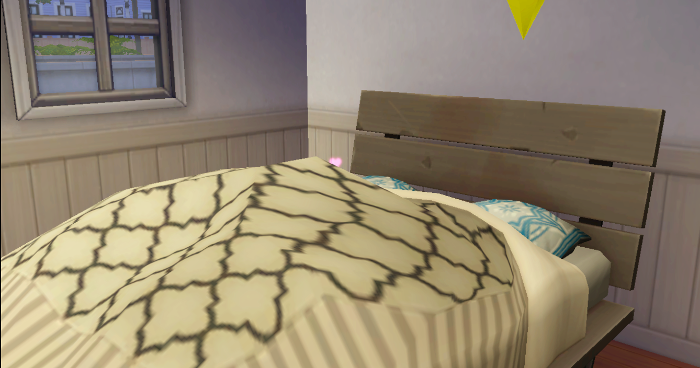 I learn something new about the Sims every day, haha.